Laguna Hair Removal welcomes the residents of Mesa! As our fellow neighbors in the Valley of the Sun, we would like to invite you to our fully-staffed, state-of-art microdermabrasion facility located in the lovely community of Gilbert. Just like with our hair removal and tattoo removal services, microdermabrasion services are overseen by an MD licensed in the state of Arizona as a cerified-physician. In fact, per company policy the Laguna staff are required to have received certification through an accredited beauty college as a Certified Medical Laser Technician! We are just a hop, skip, and a jump away at 625 N. Gilbert Rd. #101 Gilbert, AZ 85234. Microdermabrasion is a general term, which refers to the utilization of tough, tiny grains to smooth the skin in a buffing manner which sweeps away the skins’ outer layer. Laguna Laser offers an evolution in the latest microdermabrasion technology. You will love how microdermabrasion helps your skin feel young, fresh, and vibrant again! Our highly-effective resurfacing treatments are engineered for men and women, and improve the appearance and health of the skin. By removing the topmost layer of dead skin cells, microdermabrasion leaves the skin looking supple, young, and smooth to the touch! If you’re looking for Mesa microdermabrasion, look no further! 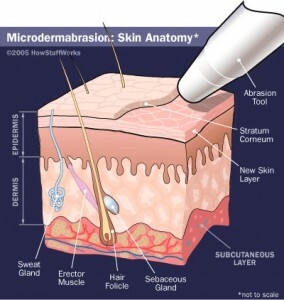 We are the preferred microdermabrasion clinic for dermatologists in Arizona. For more information please contact one of our certified laser hair and tattoo removal technicians at (480) 292-9677. *not to exceed 50% of our regular pricing.